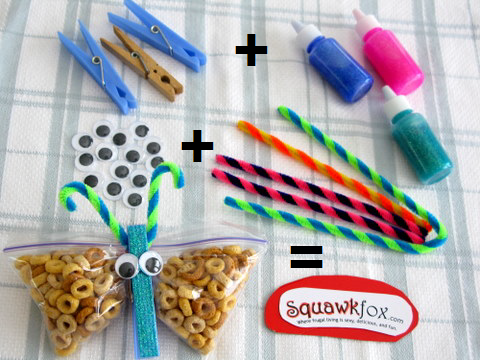 A fun idea to turn your kids’ snack bags into a butterfly shape! All you’ll need are some pegs and pipe cleaners. Simply fill your ziplock bags with your kids favourite snaps (make sure to split different snacks to either side of the bag. After that, just clip the clothes peg in the middle of the bag!